Sarah Hempstead is an expert at combining inspiration and perspiration alongside owners to deliver signature solutions with a purpose. 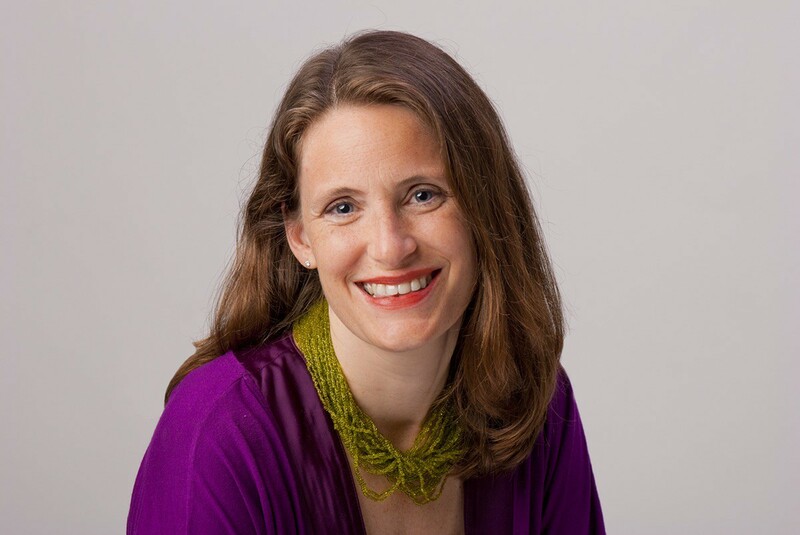 As the CEO of Schmidt Associates in Indianapolis, Indiana and the Principal-in-Charge of the Higher Education Studio, she brings her master-led approach to each project and to the many happy owners of those projects. Sarah understands that building trust comes before building consensus, and that there isn’t a building without both. That’s why she leads her team to collaborate within a framework that’s proven to produce results on time and on budget. That’s why owners and stakeholders love working with her and following her direction. Modelo spent some time learning about how Sarah got started at Schmidt Associates and about her current role. I had taken every math class offered at my High School. One of my favorite math teachers suggested I try one of his other classes, Design & Drafting. I loved it, and he recommended I become an engineer. I researched it and decided I wanted be an architect. He said I should be an engineer because they have better hours and make more money. I started touring architectural and engineering schools, applying, and receiving my acceptance letters. It looked like architects were having more fun, and the rest is history. I’m not a disciple of one type of style per say, what influences me is thoughtfulness — what does someone need a building to do and how the piece fits into a larger puzzle. How does it need to work for them to succeed? Every project can have a sense of wonder and delight, every project can enhance mission and build community — with a thoughtful sustainable approach to design. I accidentally ended up at Schmidt Associates. My fiancé, now husband, was working here and said, “you should meet Wayne (our Founder), you would really like him.” We met, I really liked him, and thought I could learn from him. So I came here and 15 years later I am now CEO. Since joining the firm, I’ve had the opportunity to push design further, while still maintaining a sense of Midwestern sensibility. We can push the box from both the architectural and engineering sides, while meeting the needs of the clients. Culturally, the understanding the public has of design has shifted, which is a great opportunity to go even further. Projects need to be mission driven and form must follow function. It’s been said so many times, it is almost boring, but it is still true. Schmidt Associates functions out of the premise that our designs aren’t our building. They are our clients building. Acting through Servant Leadership, we lead our clients through a process to meet their needs. This includes thinking holistically about the life cycle of the structure from the architecture to the engineering and the buildings sustainability. The building can’t just meet their needs today, but needs to look into the future. Growing our people through a renewed commitment to training, culture, and expanding opportunities for merit based career growth. The Illinois Fall Creek Center (Old St. Vincent Hospital) consisted of an incredibly complex restoration, renovation, and addition. Originally built in 1911, the building had long been abandoned when it was given to Ivy Tech Community College by the City of Indianapolis. Working with the college and the community, Schmidt Associates developed a plan to restore the historic southern facade and central stair to renovate 50,000 s.f. of the existing building, demolish the central and northern building bays, and create a new modern 180,000 s.f. addition — contrasting the historic façade. 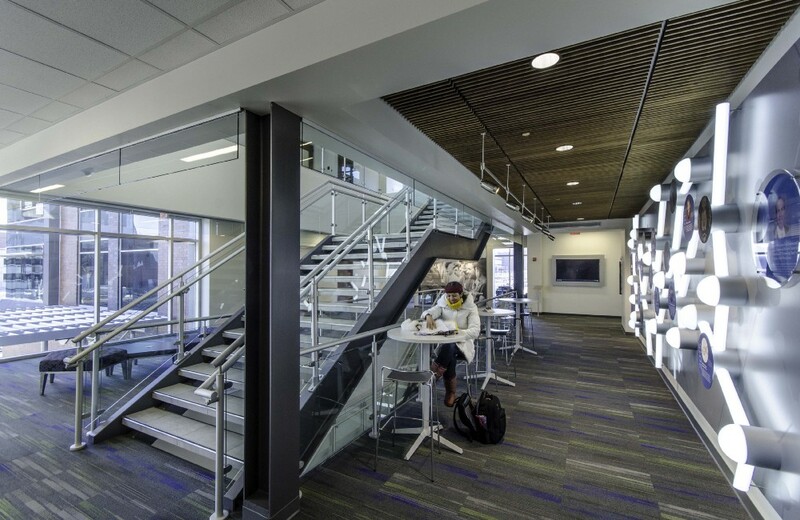 The award winning result serves as the campus center including classrooms, labs, a cafeteria and kitchen, as well as student commons and community meeting rooms. A new elevated pedestrian bridge connects to an additional historic structure — the AUL building — Ivy Tech’s first academic building on the Fall Creek campus. 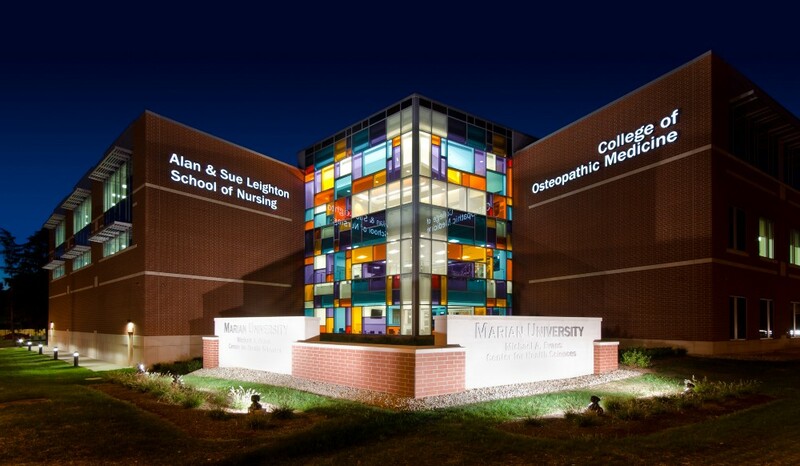 When Marian University decided to start the first Catholic College of Osteopathic Medicine (COM) in the country, they called on Schmidt Associates to lead the design process. 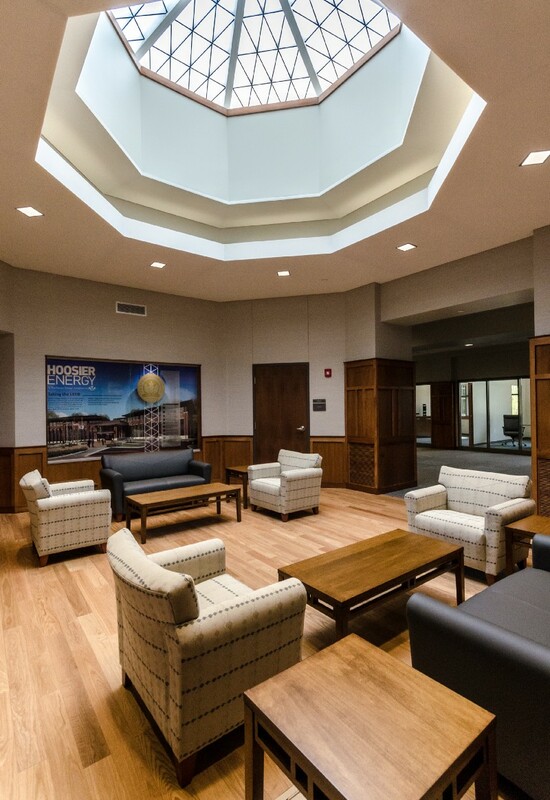 Balancing the needs of the School of Nursing (the facility’s other key occupant and one of the most respected programs currently on campus) and the needs of the new COM was an exercise not only of building programming, but of academic programming. Ultimately, the facility was designed around a shared culture of respect and shared experiences for nurses and doctors learning together. The $49,000,000 new facility is home base for 600 medical students, and includes labs for anatomy, osteopathic manipulation, practice clinical labs, simulation labs, lecture halls, classrooms, and offices. The project achieved a LEED Gold designation. The overall design — strategically situated on the very edge of campus — enhances the architecture of Marian University and its visual presence to the City of Indianapolis. Hoosier Energy Rural Electric Cooperative, Inc. identified the need for a new headquarters building, through a year-long strategic master plan effort that would pay particular attention to energy usage and consumption. Schmidt Associates produced a plan accommodating Hoosier Energy’s unique business model and designed a simplified prairie-style structure located in a heavily wooded site. The prairie elements include long horizontal roof lines, the use of brick masonry as a means of exterior structural expression, and windows in darker colors which visually recede, giving the roof a floating effect. With LED lighting, geothermal heating and cooling, and natural light illumination in work spaces, the building will consume nearly 45 percent less energy than a comparable building of this application and size. The resulting building is LEED Gold Certified, delivering on Hoosier Energy’s goals for a headquarters designed around energy use and consumption. The Regenstrief Institute provides research, development, and education to further health care deliver in their new 80,000s.f. facility anchoring the recently improved IUPUI healthcare campus entrance. The Institute had several goals when design began. Create a facility Sam Regenstrief would have been proud of — a facility to define his legacy in healthcare and the city. Encouraged cross discipline collaboration and partnership within the institute and with key external partners. To fulfill the goals, the facility integrates branding and information sharing — with robust static and digital storytelling throughout the building. Department specific layouts met the unique needs of each group, with institute wide collaboration spaces conveniently located next to the main entry. Small group focus areas and collaborative environments on every floor allow for creativity and ultimate workplace flexibility. All 250 researchers benefit from the location — between key partners in a campus environment — allowing easy access to external partners and enhancing the institutes ability to advance medical research. The 4-story brick and metal panel structure complements both the historic brick campus and the new modern Eskinazi Hospital. natural daylighting to over 75% of the building. Schmidt Associates has so fully integrated Building Information Modeling (BIM) into our design process that we have altered our physical office layout to maximize the software’s capability by creating project design labs. These labs accommodate our inclusive process of bringing each of the building systems through design and development simultaneously (rather than allowing architecture to finish, then engineering, etc., in a lineal fashion). Each lab has multiple large, flat screen monitors between work stations, allowing visual access to the physical impact of each building component as it develops. The process is an ongoing and immediate development of design concepts. It allows for easy visualization of the reality of building support systems and resolution of issues. Using BIM, we are able to maximize our ability to communicate project information internally between disciplines, as well as with Owners. The Building Information Models become the origin of early energy models, design visualizations, mechanical load analysis, cost analysis, and a central point of coordination throughout design and construction. The development of these aspects allows the entire team to accelerate their understanding of the project and make important scope and performance decisions earlier in a collaborative design process than ever before. These early studies establish a communication framework that is developed throughout the design. It gets better and better, but we worry about the detachment of human from a pen. There is something to still being able to draw and sketch. When it is so easy to create a 3D object, sometimes the complexities of executing it in real life, hands on, gets a bit lost. You have to balance 3D model with actually modeling and building something to fully understand design implications. More and more things have been removed from the architect’s sphere of responsibility. Architect as the ‘master craftsman’ is long gone. For change to happen, the architect needs to take back some of the authority and responsibility they once had. Now that you might have 17 sub-consultants, it limits the architect’s ability to make decisions, and their authority to do so as well. We’re going more digital. More will be done in 3D. Onsite observation will be done digitally, it’s already headed this way. You’ll see more construction in factories (by robots essentially) offsite, and onsite. More machines. New materials will also change both what we build and how we build. This will be in direct response to sustainability, what materials are available, where are they coming from, how expensive are they, how healthy are they (will they off gas poison). This is particularly exciting as new materials will allow us to make new things. We try to have a large family of experts in-house so we can retain the ability to influence design at a core level. We have a strong commitment to understanding changes in the profession, the materials, etc. This is manifest through continued learning with AIA, Schmidt Academy, etc. to make sure we are on the leading edge. I tell everyone to learn to draw and to travel. Otherwise you get limited pretty fast. Actually, I still give myself that advice — its critical to staying thoughtful and fresh in my approach.